Now that fall is approaching, you might be wondering what you should do with your business’ lawn. 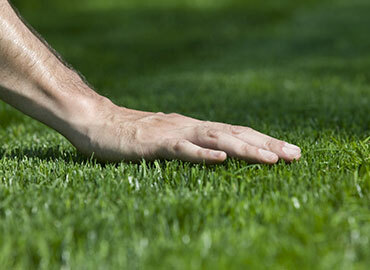 With the weather getting colder, does that mean it’s okay to just let your business’ lawn go? Do you not need to take care of it any longer and tell your commercial landscaper to take a couple of months off? Considering all that your lawn needs, you might regret that decision. While this part of Texas might not get nearly as brown as other parts of the country when fall comes around, there are certain changes that occur. Grass goes dormant, some trees will turn fall colors and then lose their leaves, and the sprinkler system might need some attending. All of which we’re going to talk about today! We encounter quite the variety of grasses in our work, some of which go dormant while others are tweaked to stay green all winter. Businesses can take different approaches to their grass. Some think it looks better green all year, while others might choose one that goes dormant in order to add to the browns and oranges that declare the shopping season is here. Of course, the green grasses still need to be mowed, and both types of grass can do with a good winterization so that they’re ready to bounce back when spring comes. Not every tree is going to lose its leaves, but for the ones that do, it’s a good idea to get them up off the ground. Sure, they look good when they’re orange, red, and yellow, but the final brown stage can remind customer just how dead the leaves truly are. While leaves might look good when the entire landscape is covered evenly, the wind certainly doesn’t allow them to stay that way for long. They end up clumping together, gathering moisture, growing mold, and maybe even killing the grass underneath. Of course, they also pile up in the corners of buildings, which just makes a business look unkept. When you’re trying to impress customers, piles of leaves are not the way to go about it! Most trees want to be trimmed when the leaves have fallen and they’ve gone dormant. That means late fall, winter, or early spring are the best times, but it changes depending on the tree. There are many reasons to prune a tree: damage, disease, shaping, thinning, or getting the branches away from a building. We can take care of your pruning to keep your trees as healthy as possible. We might be in Texas, but it still gets cold. The level of winterizing your sprinkler requires is going to need depends on the types of sprinklers you have. 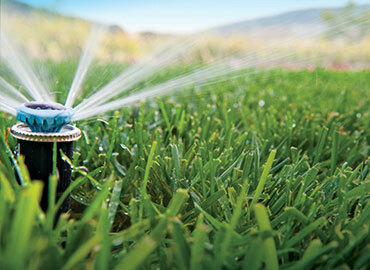 A smart irrigation system could need different winter prep than a typical sprinkler system. With Landscape Solutions, you’re dealing with the Dallas, Fort Worth, and Plano irrigation system experts, so we’ll ensure it’s ready for winter. 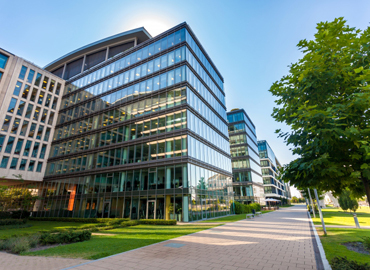 With our quasi-winters, commercial landscaping in our part of the country is considerably different than it is just about anywhere else. Landscape Solutions is on your side. Give us a call and we’ll get your business ready for the changing seasons.